What is the key to being successful financially? Is it earning well into the six figures, complete with a big-ticket bonus each year? Is it staying debt-free? Or is it investing successfully and eventually hitting it big on the stock market? The answer may surprise you. Managing your money successfully is a major factor in being financially successful. Consider this: there are people who worked at a mid-level job their entire lives, saved a good portion of their income, dutifully contributed to their retirement and were able to retire as millionaires. Concurrently, there are people who work high-paying jobs with massive bonuses who end up with nothing saved and no way to retire. What's the difference? One managed their money well; the other did not. The key to being financially successful is not how much money you make, but how well you manage it. Read on to learn how to manage your money successfully. Managing your money successfully start with your income. It sounds simple, but the key to success in this regard is to spend less than you earn. If you can do that, you can begin to build success through saving and investing your money. However, that is not always as easy as it sounds, and the key to doing it is budgeting successfully. 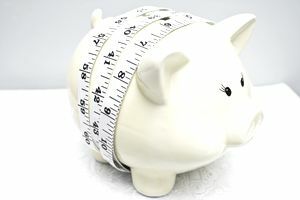 A budget is more than a list of categories and amounts for your money. It is your monthly guide and your plan to help you reach your goals. Set the amount you'll spend in each area, you prioritize your spending and saving based on your goals and circumstances, and finally, you track your spending. This lets you know when you need to stop spending in a certain category, and where you have wiggle room or extra money that can be allocated elsewhere. Once you get control of your budget, you will be on your way to managing your money successfully. The best way to manage your debt is to eliminate as much of it as possible. The first step is to stop using your credit cards, and then work to pay them off. Some debt is harder to avoid, such as student loans or buying a car. For example, you may not be able to afford a car, but you need one to get to work each day. Therefore, it will benefit you to shop around for the best deal on a car and the best interest rates, so you can more quickly pay off that debt. The same goes for student loans. Try refinancing to get a better interest rate, or pay more toward your loans each month so more of your money goes to the principal balance rather than interest. Another area where debt may be unavoidable is when buying a home. But that doesn't necessarily mean it's a bad investment. Look for a home that you can afford, that's in a good neighborhood, and will appreciate in value. Remember, your mortgage payment should be no more than 30% of your income. They say you should always pay yourself first, and that applies to building your savings and investment portfolio. There are two different types of savings: your liquid savings and your investments. We'll start with investments. Investing is a beneficial way to save because it actually earns you money and increases your wealth. If you do not know a lot about the stock market and investing, then it can be really helpful to have a financial advisor help you manage your investments. Here are a few tips: Mutual funds help you naturally diversify your portfolio, but you need to look for ones with reasonable fees and a good rate of return. Make sure that you are diversifying your portfolio, meaning you should never have the majority of your investments in one single stock. You should also invest in different types of investment types as well. You do not want all of your investments to be in tech or any area in case that sector of the market drops. Investments may be harder to get to during an emergency, and you may not want to be forced to cash them in if the market down when you need them. That's where a liquid savings account comes in. Your savings account should contain your emergency fund and should be easily accessible in case of an emergency. You want to be able to access your savings fairly quickly if needed, but you also want to earn the best possible interest rate. Some people will simply store it in a bank savings account, while others will use a money market fund, savings bond, or a CD. This money is not really an investment, but more of a protection for the emergencies. Think of it as your insurance policy, while the real wealth-building occurs in your investments. How you manage your money once you're married may change. Read our tips here. Try these five tools for managing your debt. Want to invest but not sure how? Try these investing tips for beginners. Create a budget that takes into account your income and necessities.